In Vienna's Hofburg Palace, ground zero of the Habsburg Empire, I'm particularly entertained by its butterfly house, a tropical wonderland on the Danube. In this community of royal butterflies, the trays serving up rotting slices of banana are the tavern. Fluttery slackers lick the fermented banana juice as it beads, and then just hang out there in a stupor...or fly in anything but a straight line. While the butterflies are a quick visit, the rest of the Habsburg sights can fill an entire Vienna vacation. 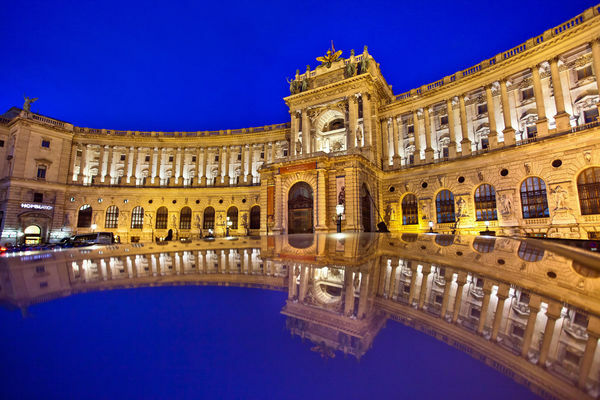 The lavish Imperial Apartments of the palace seem designed to give their royal residents — who ruled Vienna for centuries — grandeur fit for a god. After all, in the age of divine monarchs, kings and emperors such as the Habsburgs claimed that God himself had ordained them to rule with unquestioned authority. The Habsburgs were one of a handful of royal families who ruled nearly all of Europe until World War I. Exploring the palace is a treat. Walls between the rooms are wide enough to hide servants' corridors. Big, ornate stoves, which servants fed from behind, heated the rooms. The decor is splendid Baroque — the preferred style of divine monarchs, as it served as a kind of propaganda to sell the Old Regime notion that some were born to rule and others were born to be ruled. The dining room is set just as it would have been. Ornately arranged goldenware trumps the silver. Each drink came with a proper glass...and spittoons always go on the left. 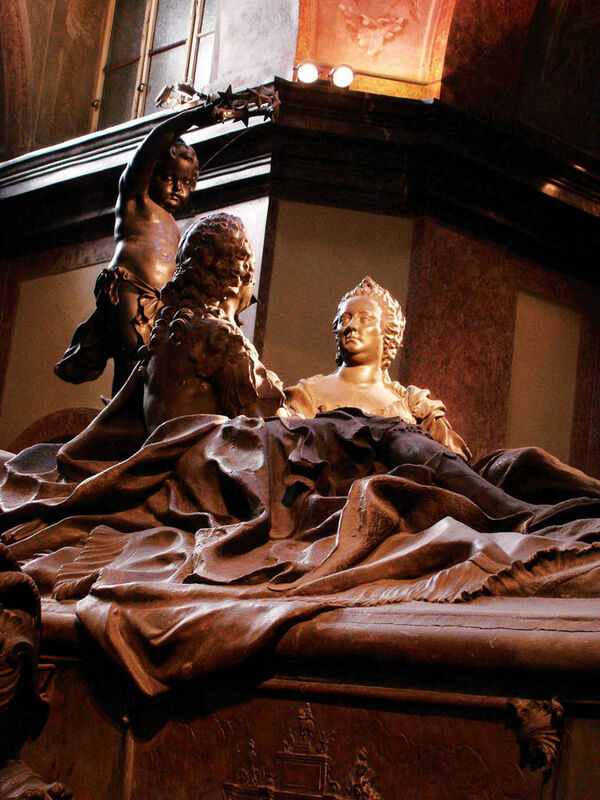 Six centuries of Habsburgs ruled from Vienna, including Maria Theresa in the late 1700s. The original practitioner of "make love not war," she was famous for having 16 children and cleverly marrying many of them into the various other royal families around Europe in order to expand her empire. Today's Hofburg Palace is furnished as it was in the 19th century from the age of Maria's great-great-grandson, Emperor Franz Josef. 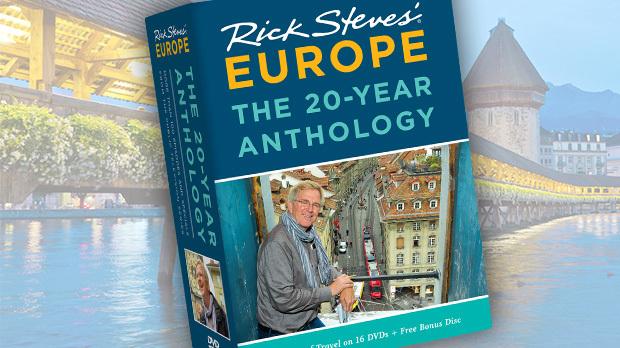 He ruled for 68 years and was the embodiment of the Habsburg Empire in its final decades. The emperor nurtured an image of being spartan and a very hard worker. His no-frills iron bed and portable washstand are on display. 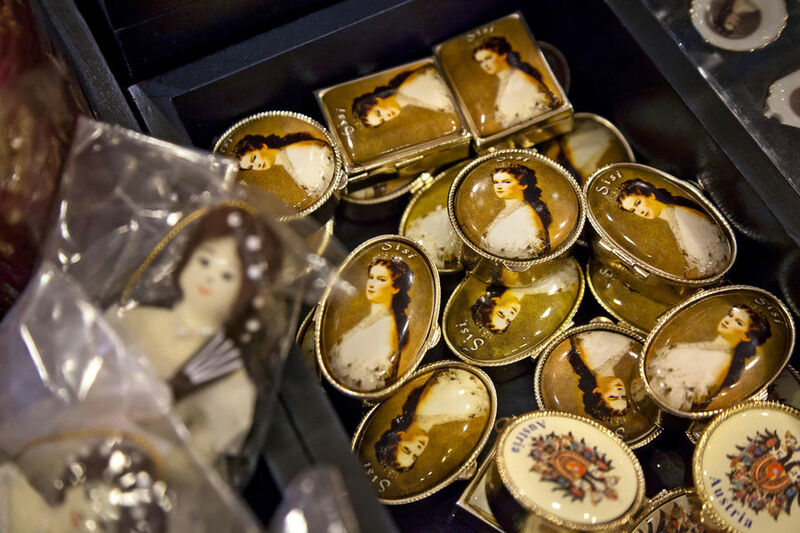 While he had a typical emperor's share of mistresses, his dresser was always well-stocked with portraits of his wife, the Empress Elisabeth ("Sisi"). Elisabeth, Franz Josef's mysterious, narcissistic, and beautiful wife, is in vogue these days. The palace tells of her fairy-tale existence — her escapes, dieting mania, and chocolate bills. Sisi's hard-earned tiny waist was 21 inches around at age 50...after giving birth to four children. Her main goals in life seem to have been preserving her beautiful empress image, maintaining her Barbie Doll figure, and tending to her long, flowing hair. Peeking into her bathroom, you'll see the finest tub of its day resting on the first linoleum floor in Vienna...installed in 1888. Sisi has been compared to Princess Diana because of her beauty, bittersweet life, and tragic death — assassinated by an Italian anarchist in 1898. 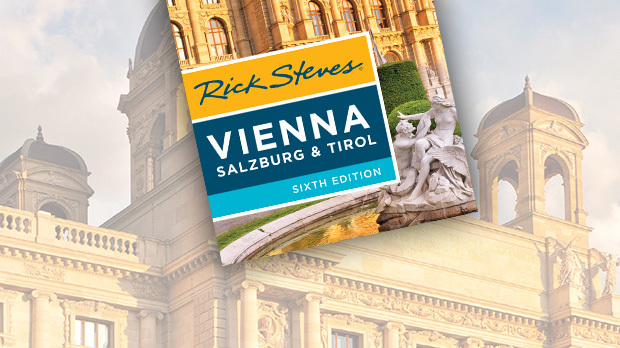 When you visit Vienna, it's easy to get caught up in the growing legend of Empress Elizabeth. The Habsburgs ruled as Holy Roman Emperors, and they had some fancy jewels to prove it. In the Hofburg Palace's treasury, visitors reflect on the glitter of 20 rooms filled with precious paraphernalia, designed to help keep one royal family ruling a good part of Europe. A 500-year-old unicorn horn (or perhaps the tusk of a narwhal) was considered incredibly powerful in the Middle Ages. It was understood to confer the Habsburg emperor, a "divine" monarch, the grace of God — something rulers still seek today. While the Habsburgs have been out of power since the end of World War I, they maintain a hold on the Austrian spirit — as you feel when you visit their tombs. But visiting the imperial remains is not as easy as you might imagine. These early organ donors — about 150 Habsburgs in all — left their hearts in the palace church, their entrails below the cathedral, and the rest of their bodies in the Kaisergruft (emperors' crypt). Stepping into the crypt you're surrounded by black iron tombs festooned with Habsburg regalia. How the royals wanted to be remembered is reflected in the tombs they often helped design. Franz Josef's is an appropriately austere military tomb. Sisi always seems to get the most flowers. While it's fun to chase down all these royal body parts, remember that the real legacy of the Habsburgs is the magnificence of their city. Stepping outside, I squint up and appreciate the brilliant, ornate skyline of Vienna.